This is the thirteenth in my occasional series of “Books on the Horizon” – travelogues I dream of researching and writing, though probably never will. This one is about walking the entire length of New Zealand. Friday 29 July 2016 in Writing. This is the twelfth in my occasional series of “Books on the Horizon” – travelogues I dream of researching and writing, though probably never will. It’s the account of a long craft beer-based journey across the USA. Thursday 28 July 2016 in Writing. This is the eleventh in my occasional series of “Books on the Horizon” – travelogues I dream of researching and writing, though probably never will. This one proposes a beer-based tour of Ireland, though avoiding the famous black stuff. Wednesday 27 July 2016 in Writing. This is the tenth in my occasional series of “Books on the Horizon” – travelogues I dream of researching and writing, though probably never will. 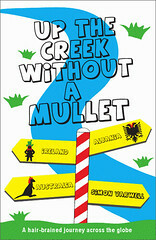 This title imagines a road trip along the Trans-Canada Highway (with the occasional turn off). Tuesday 26 July 2016 in Writing. This the ninth my occasional series of “Books on the Horizon” – travelogues I dream of researching and writing, though probably never will. It’s the first in a new batch of titles, and imagines journeys to places that have been literally or figuratively bypassed by otherwise positive developments. Monday 25 July 2016 in Writing. In which I take a pause in my imagined Books on the Horizon series, and reflect on what I’ve learned from writing the first eight titles. Monday 5 October 2015 in Writing. This is the eighth in my occasional series of “Books on the Horizon” – travelogues I dream of researching and writing, though probably never will. This latest one combines train and hiking journeys around the north of Scotland. Thursday 27 August 2015 in Writing. This is the seventh in my occasional series of “Books on the Horizon” – travelogues I dream of researching and writing, though probably never will. This one is about exploring the world of sleeper trains. Wednesday 19 August 2015 in Writing. This is the sixth in my occasional series of “Books on the Horizon” – travelogues I dream of researching and writing, though probably never will. This especially whimsical effort is inspired by the wonderful Lemon Jelly track “Ramblin’ Man”. Thursday 13 August 2015 in Writing. This is the fifth in my occasional series of “Books on the Horizon” – travelogues I dream of researching and writing, though probably never will. 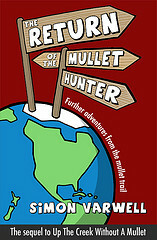 This one involves finishing off my mullet mission. Thursday 6 August 2015 in Writing. This is the fourth in my occasional series of “Books on the Horizon” – travelogues I dream of researching and writing, though probably never will. It is about visiting the world’s created capitals. Thursday 30 July 2015 in Writing. This is the third in my occasional series of “Books on the Horizon” – travelogues I dream of researching and writing, though probably never will. In it, I travel the world using Esperanto. Jenas la tria en mia foja serio de “Libroj sur la Horizonto” – vojaĝoverkoj pri kiu mi revas esplori kaj skribi, sed eble neniam faros. En ĝi, mi transvojaĝas la mondon per Esperanto. Thursday 23 July 2015 in Esperanto, Writing. This the second in my occasional series of “Books on the Horizon” – travelogues I dream of researching and writing, though probably never will. 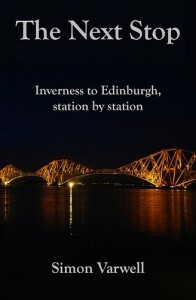 It’s not an original idea, but a repeat of my third book The Next Stop on various other Scottish train lines. Thursday 16 July 2015 in Writing. This the first in my occasional series of “Books on the Horizon” – travelogues I dream of researching and writing, though probably never will. It is called “Not Holland” and is an attempt to visit the twelve provinces of the Netherlands that aren’t part of Holland. Thursday 9 July 2015 in Writing. An introduction to my occasional series of “Books on the Horizon” – travelogues I dream of researching and writing, though will probably never undertake.